New Chief Technology Officer - ONRAD, Inc.
Mr. Salen previously worked at ONRAD from 2007 to 2010 as the Vice President of Technology before accepting a position as a Marketing Product Manager for the Centricity PACS product line at GE Healthcare. In his new role as CTO, Mr. Salen will be responsible for the long-term vision and strategy for the technology at ONRAD. He will work closely with the management team, IT department, and external partners to ensure that ONRAD’s IT infrastructure continues to grow in capacity, efficiency, and stability. Mr. Salen has an MBA from the Paul Merage School of Management at the University of California, Irvine. He is currently continuing his education in a part-time capacity at the University of San Diego, School of Law, where he plans to achieve expertise in health law.  ONRAD is a full service physician-owned radiology provider offering customized radiology services including teleradiology solutions, on-site radiology coverage, subspecialty teleradiology interpretations, and quality assurance programs. As a partner, ONRAD helps its customers be more competitive in their local markets by complementing and expanding the radiology services already in place, or providing a comprehensive solution.